The NASA JPL News item NASA's InSight Takes Its First Selfie provides a link to the high resolution image PIA22876. Below I've cropped out the West solar panel array, which shows surprisingly tall vertical ridges that extend the full length of each of the ten segments where it joins adjacent segments. Are these related to the way the panel unfolds? Do they have a function now that the arrays are fully deployed? I would think they might tend to trap Martian dust blowing in the wind and interfere with any cleaning by subsequent wind or dust-devils, but maybe the effect is just the opposite? One thing I worry about is what @Uwe had mentioned in comments earlier; that blocking one junction† cell in a group of series-connected junctions† cells causes a much larger current drop than you might estimate from the fraction of the total area covered. In some wiring configurations small shadows can become big problems and big losses. Those are the radial spars that give the solar array rigidity once it's fully deployed. Image Source: The Space Technology 8 Mission; S.F. Franklin, et al. The landing site for InSight was selected to be a low dust environment. Clearing events are not expected during the time of the mission. As far as I can tell, dust collection was not a consideration in the radial spar design. 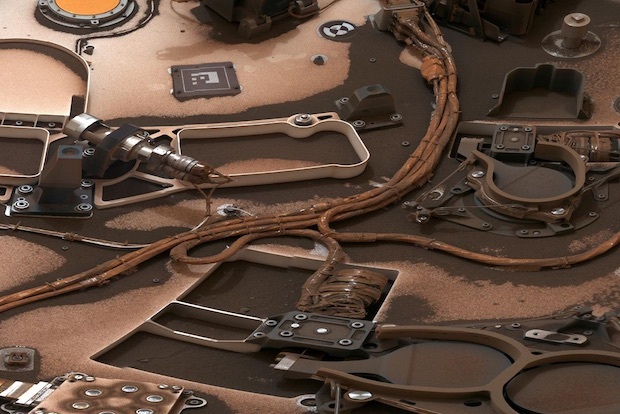 However, the InSight solar arrays and batteries were designed to ensure enough power could be drawn even in poor conditions. 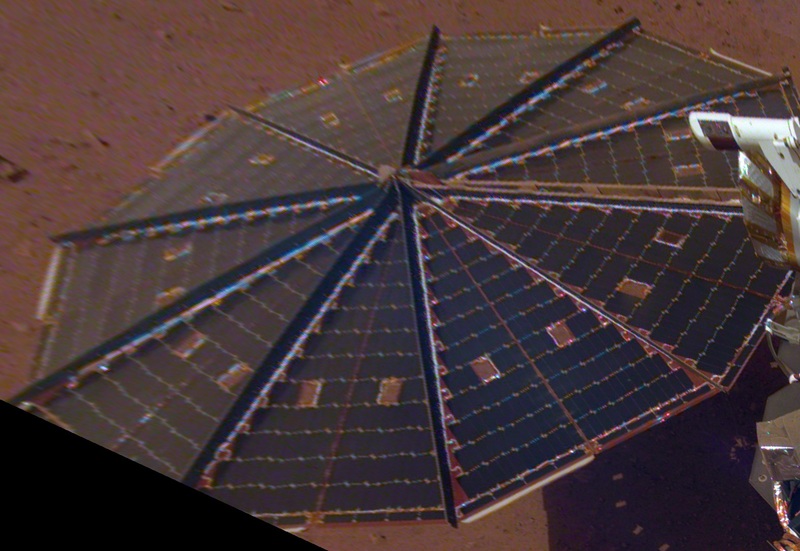 Next Generation UltraFlex Solar Array for NASA’s New Millennium Program Space Technology 8 - Brian Spence, et al. The Space Technology 8 Mission - Stephen Franklin, et al. Selection of the InSight Landing Site - M. Golombek, et al. Not the answer you're looking for? Browse other questions tagged mars insight dust or ask your own question.